Roy E. Miller was raised in San Diego, California and attended the University of Arizona graduating in 1989 with a degree in Political Science. He is a member of the Pi Kappa Alpha fraternity. 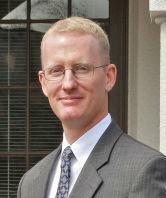 He graduated from California Western School of Law in San Diego and was admitted to the California bar in 1994. After two years of practice in San Diego, Roy moved to Lakeport, California. Following two years of insurance defense and criminal defense practice, Mr. Miller joined the Lake County District Attorney's Office as a prosecutor. He handled the county's domestic violence and sexual assault caseload as well as vehicular homicide cases and white collar crime. After spending five years as a prosecutor in Lake County, Mr. Miller joined Monte Hansen in Santa Rosa, California and together they formed the Hansen & Miller Law Firm. Mr. Miller handles all criminal defense matters including homicides, domestic violence, drug sales, white collar crime, gang cases, and DUI cases. He practices both in California state court and the U.S. Federal District Court for the Northern District (SF Bay Area) and the Eastern District (Sacramento Area). He lives near Santa Rosa and is married with two children. In addition to sponsoring activities for the FFA and 4H foundations, Hansen & Miller Law Firm also supports youth sports in the Sonoma County Area.